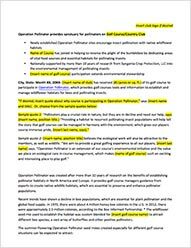 Once your golf course has decided to establish an Operation Pollinator habitat, spread the word about your course's positive environmental contribution to the local community. 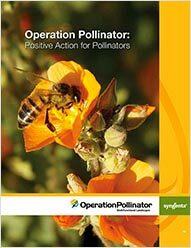 To help generate awareness, you can download and distribute these resources to your community, players, club members and other stake holders about your involvement with Operation Pollinator. Be sure to include pictures of your habitat with the news release; recommended file size is 2MB. Each sign measures 18” H x 12” W and can be placed in or around the habitat. View a preview of the sign. 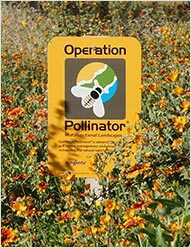 To order complimentary signage for your Operation Pollinator habitat, please contact your local Syngenta territory manager. 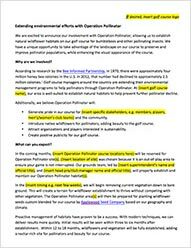 Be sure to follow @SyngentaTurf and #OperationPollinator.